[Discontinued before 2015] Have I ever mentioned how nice the Turkey Hill people are? They wrote to me several times and apologized when I don't like a flavor. It's so polite and truly embodies the spirit of how ice cream is here to make us feel better. That said, I've got good news and bad news. The good news is that this is crazy low fat and tastes like junior mints. The bad news is that it also has that Stuff'd funk that I truly dislike. So I've taken a first and second scoop at this thing and I don't really like it. I will admit that if you aim for just the mints and keep the ice cream to a minimum then this really does taste like the candy, at least for the first few bites, but then I started getting more of the base and that Stuff'd funk was back in action. On Third Scoop: Ok, good news! If you crush a good amount of Oreos into this stuff, the funk is covered up and it's not too bad, if not eye-opening minty... that's not to be confused with high end tingly minty, no, this is a straight forward, overpowering minty. This was my first full bowl and I'm pretty sure my entire esophagus is now minty fresh... I'm going to be tasting this in the morning, aren't I? Just saw this for the first time this past weekend and was curious about it. After reading this, I'm so glad that I didn't buy it and I won't be buying it for sure now. Once again, you've saved me money! what is the stuffd funk? Is it a texture or taste thing? If you have to crush oreos to add to your light ice cream, you might as well just go with the premium stuff haha. Iunno, there is a weirdness about it. It's probably a flavor/texture combo that just doesn't sit right with me. I've come to the conclusion that mint only works for me when dark chocolate is involved. Maybe if these were dark chocolate junior mints it would've worked better. only if there are enough to cover over the base! I've yet to try the stuffd variety but I recently came across a random grocery store that carries a few of the pint varieties so I'l have to give them a try to see if I get the same funk. Once again you have spared me from wasting my money and calories! Quite a public service you are providing for us Dubba and we are grateful! So I found this one at the store last night and decided to give it a try. I HAVE to try each new flavor for myself, it's an obsession! Right off I did notice the vanilla was def frozen dairy dessert but the fudge swirl was decent and I liked the chewiness of the mini mints. (But I did toss a choc choc chip muffin in the cup). However after a few scoops it does become too much (good for me because I lack serious self control) and I did feel as if I may never need to use Scope again I was so minty fresh..haha! Wouldn't buy it again but worth a shot! Tastes like toothpaste yuck. Never again! My husband brought this flavor home for me to try. I liked it but when I noticed it said frozen dairy dessert, I decided to do a google search on this product. I wish now that I had not read all the negative comments. I think the comments have influenced my taste for this product. Even though I thought it was good I am now trying to experience/taste the "weirdness" about it. I probably will not choose this product again. Really surprised to read this review. I tried this product last week for the first time, and absolutely fell in love with it - enough that I went googling for vendors in my home state and came across this blog. I should also mention that I shared this product with 2 family members, and we unanimously agree it is now our favorite flavor. 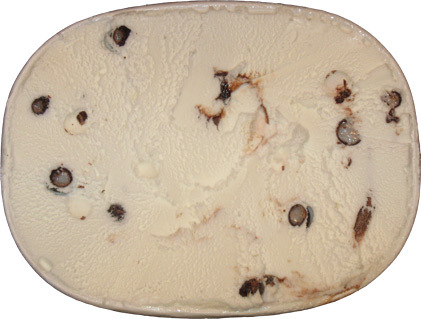 The junior mint taste is thoroughly blended throughout the ice cream. Regarding the light texture, this product is much closer to soft serve ice cream than traditional. To those who haven't tried it yet - you can scoop it out of the dish with a plastic spoon even after it's been in the freezer for days. 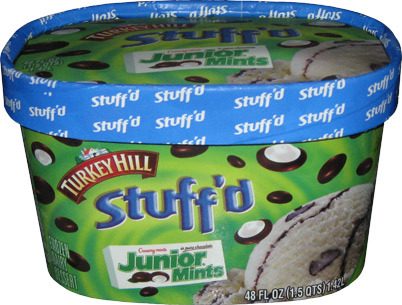 If you love junior mints, and prefer soft serve ice cream over traditional, then I suspect you will like this product. there are plenty of people who dont have an aversion to frozen dairy dessert, and that's fine, I'm glad you like this one but keep in mind that Edys/Dreyers has completely ditched frozen dairy dessert because of the consumer backlash.